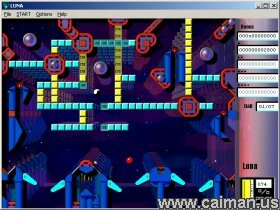 Caiman free games: Julietta 5 by Hubert Achthaler. Over 40 nice pinball machines + editor, upto 4 players. After pressing START you can deceide the number of players and who they are.